With a relatively young and tech-savvy population, ASEAN has been at the forefront of technology adoption. Yet, this has exposed its people and businesses to more cyber threats, including the massive data leak in Malaysia in 2017. 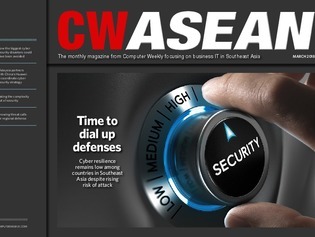 In this month’s issue of CW ASEAN, we take a closer look at ASEAN’s patchy cyber security landscape, including varying levels of cyber resilience across the region, cyber security strategies adopted by different countries, as well as efforts to improve cyber capabilities and foster greater collaboration in the common fight against cyber threats. The headline-grabbing breaches that hit Accenture and Equifax in 2017 could have been averted had basic cyber hygiene been in place, as could a major DDoS attack that brought down the US internet. Joint steering committee will meet twice a year to address cyber security issues, among other measures to shore up Malaysia’s cyber security capabilities. The key to improving the cyber security posture of organizations is to keep complexity at bay, says Eric Lam, Asia director for Microsoft’s Enterprise Cybersecurity Group.